The village of Yantic is located on the Yantic River in the northern part of Norwich, Connecticut. The Backus family had an ironworks here in the colonial era. 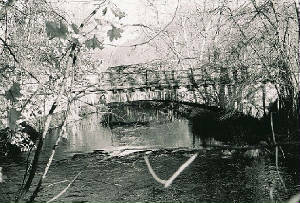 Very early in the 19th century, a sawmill, gristmill, and carding machine powered by a mill dam were located here. 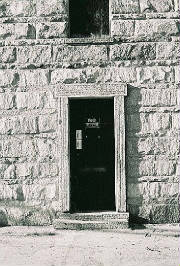 From 1818 to 1822, agents for a Scottish businessman purchased the site and built a cotton factory. In 1824, former seacaptain Erastus Williams, purchased the property and enlarged the mill for the production of woolen goods. His son, E. Winslow Williams, took over the business in 1865. 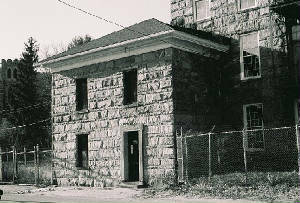 After a disastrous fire that year, the original mill was replaced by the present stone structure. Louis B. Williams, grandson of Capt. Erastus, was superintendent of the mill in 1884, when he died at the age of 24. His brother, Winslow Tracy Williams, a Junior at Yale University, returned home to run the mill. In 1913, the company was placed in receivership. 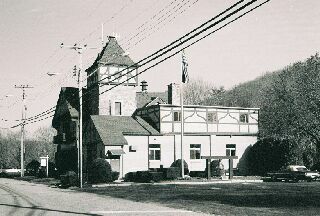 Winslow was president of its successor, Ardmore Woolen Co., until 1918, when he transferred his holdings to a New York firm. 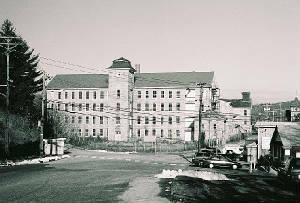 The mill continued in operation through most of the 20th century under several owners. The last, Hale Manufacturing Company, made yarn for automobile upholstery fabric until closing down in 1988. "The principal mill of the Yantic Woolen Company is 170 feet by 54 feet, five stories high .... About 175 horsepower is furnished by a fall of 12 feet in the Yantic River, acting on wheels 48 and 42 inches in diameter. The dam is located about half a mile above the mill, and the water is led to the wheels through a natural cleft in the ledge, of great picturesqueness.The mill is finely and modernly equipped throughout. Ten sets of cards and 88 broad looms are used in making about 2,250,000 yards of flannel and dressgoods annually. The goods are dyed and finished at the works, and are sold through Boston and New York houses. The mills give employment to some 150 hands, and pay them about $60,000 annually." (Genealogical and Biographical Record of New London County, Connecticut, J.H.Beers & Co., Chicago, 1905). 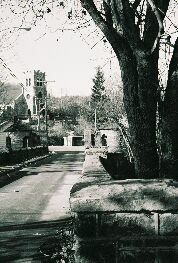 Grace Episcopal Church was organized in 1853 under the auspices of Capt. Erastus Williams and his wife, Elizabeth Dorr Tracy. The present church was dedicated in 1902. Its predecessor was originally intended as a wool warehouse but was instead converted for use as a church. The Williams' daughter Elizabeth was the first church organist.